Wheels: heavy duty Ø 200 x 50 mm. 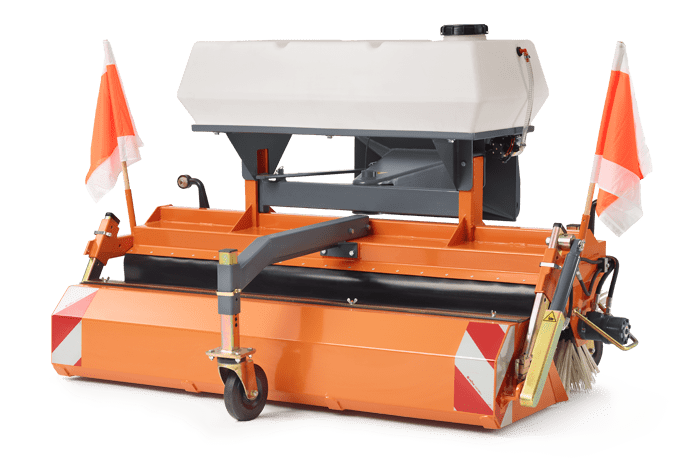 sweeping roller: Ø 580 mm PPN. side sweeper: weight approx. 31 kg. water spray system: weight approx. 45 kg (without water). adjustment is coordinated with one another and is necessary when the sweeping roller is worn. All options are available for all variants of the equipment from 1550 to 2750 mm working width.